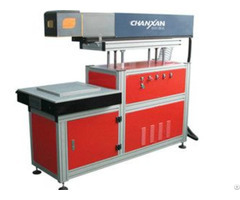 Ezletter CNC Auto Notcher is especial for channel letter's notching. 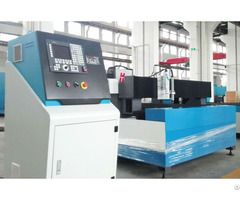 Input the design or letter in DXF into the machine, Ezletter CNC Notcher will notch automatically and accurately. Ezletter Auto Flanger eliminates any restriction on channel letter return lengths imposed by brake size. 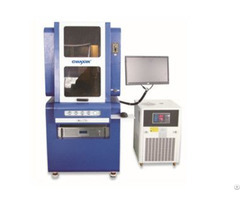 minimizing labor and manufacturing cost. Advantages:Easier set up; Easy use; Smaller Footprint conserves space; Used on a bench top or with stand; No special power requirements. Uses standard household power. 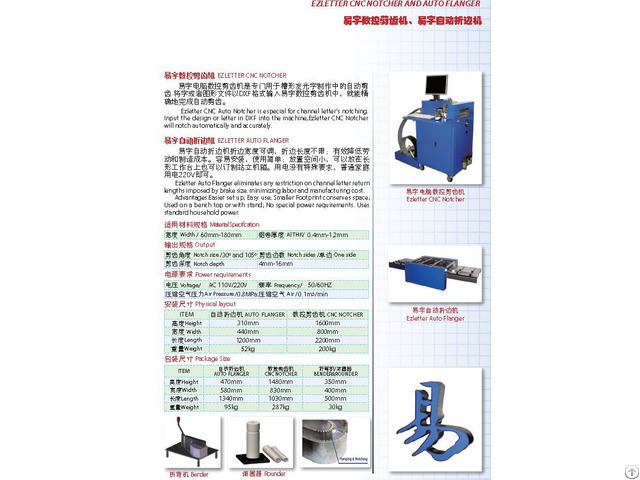 Ezletter is one of the largest manufacturer on the equipment for the channel letter in the world. The products cover a wide range of good quality, high reliability and easy to use. the cutting quality of whose products reach to the international advanced level of similar products. The 50% products are exported to Europe. software and hardware, provides free upgrades on the software for life and custom development services. Ezletter provides the customers rapid products and services with leading technology of ERP, CRM and PDM. in the world, widely praised by domestic and foreign customers.